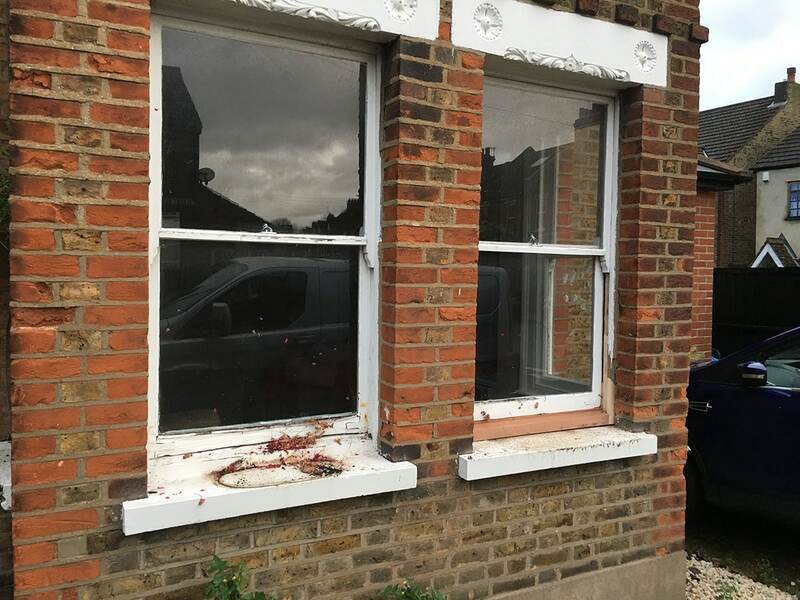 The purpose of our double glazed sashes fitted to the existing box frame & refurbishment service is to keep the original sash window box frame but to add new double glazed sashes fitted within the original box frame. 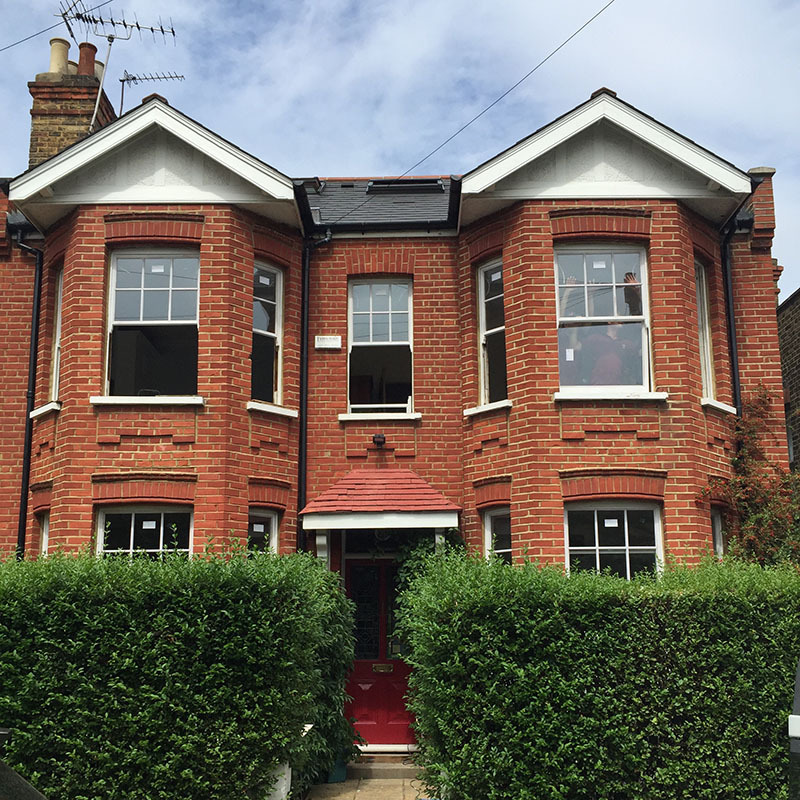 We also fit our brush-pile system which eradicates rattles and significantly reduces draughts in your sash windows. 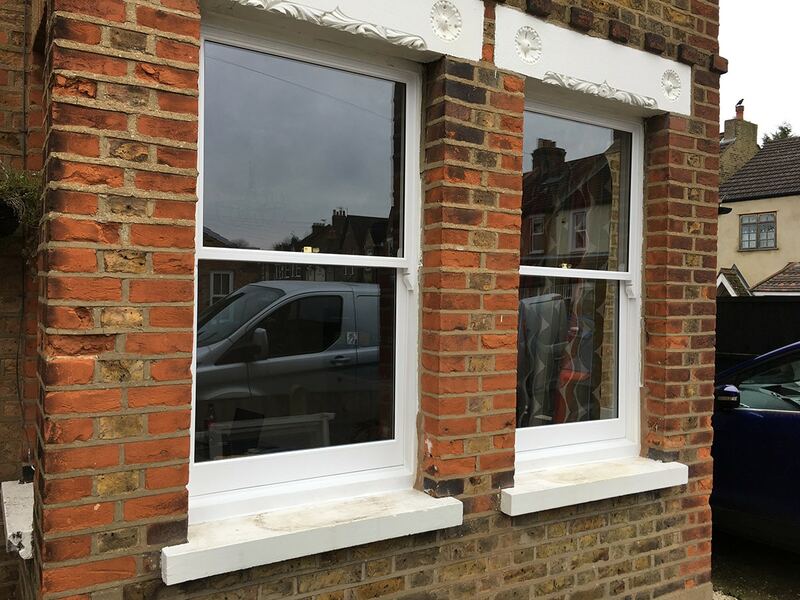 Traditional sash windows often get painted shut or if they are not painted shut the build up of paint makes them hard to open and close, when we combine the new double glazed sashes with our Refurbishment service it resolves these issues and adds the element of double glazing without having to remove the main part of the box frame from the wall. Before any works are carried out our team will lay dust sheets to the floor area and cover furniture with plastic sheeting. The lower sash can now be removed and disposed of. Now the upper sash can be removed and disposed of. With both the upper / lower sashes and beading removed we are able to access the weight pockets and take out the original sash weights. The original sash weights are now removed. At this point before we re-cord and refit the sashes we can offer our Optional inner box frame burn off service. 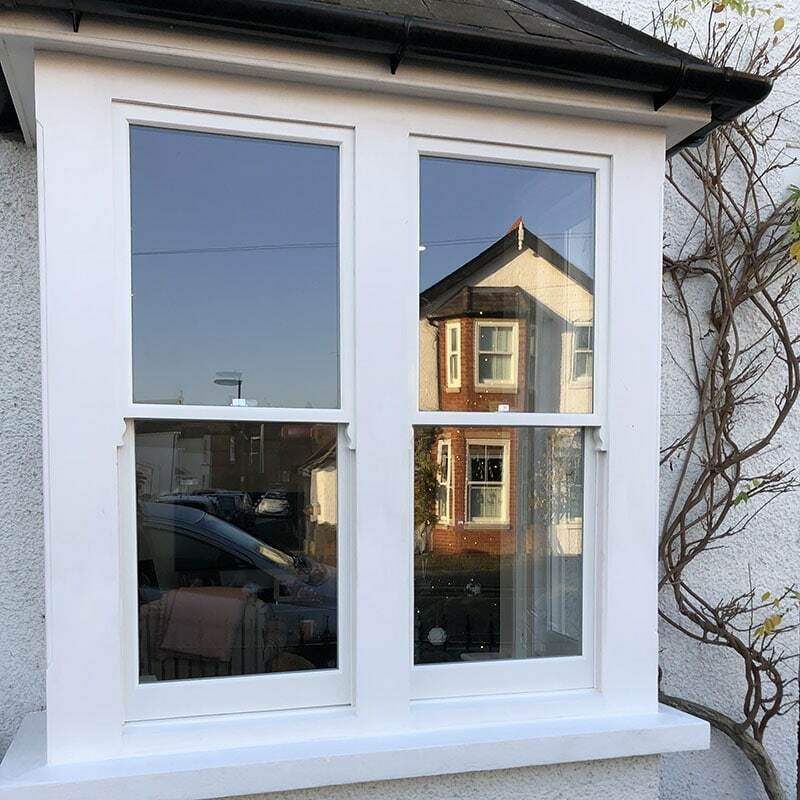 Most sash windows are more than a hundred years old and will have over a hundred years of paint built up in the channels where the sashes run up and down, we offer a service to burn off the inner part of the box frame where the sashes run and give two coats of primer, although this option is not always necessary we highly recommend it to help the sashes run smoother. The upper sash is hung and the new cord is attached with screws to give a secure fixing. The new parting beads are fitted with our brush-pile draught proofing system and fitted to the box frame, an additional length of parting bead is fitted to the head of the box frame to stop draughts coming through from the head of the frame. 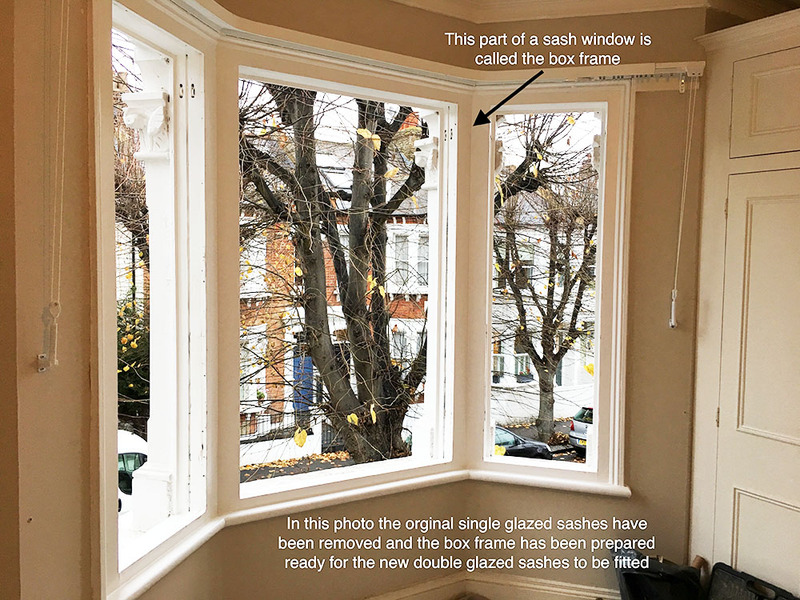 The new double glazed lower sash has an 8mm rebate routed in to its meeting rail to accept our brush-pile system to draught proof the gap where the upper and lower sashes meet in the middle when closed. The lower sash is hung and the new cord is attached with screws to give a secure fixing. The new staff beads that contain our brush-pile draught proofing system are cut to fit the box frame and are secured with lost head brads. The staff and parting beads are now sealed with sealant. New ironmongery consisting of two sash lifts and one Brighton fastener are fitted to your window in a choice of Polished Brass, Polished Chrome or Satin Chrome finishes as standard. The old staff and parting beads and any other rubbish are taken away by our team. 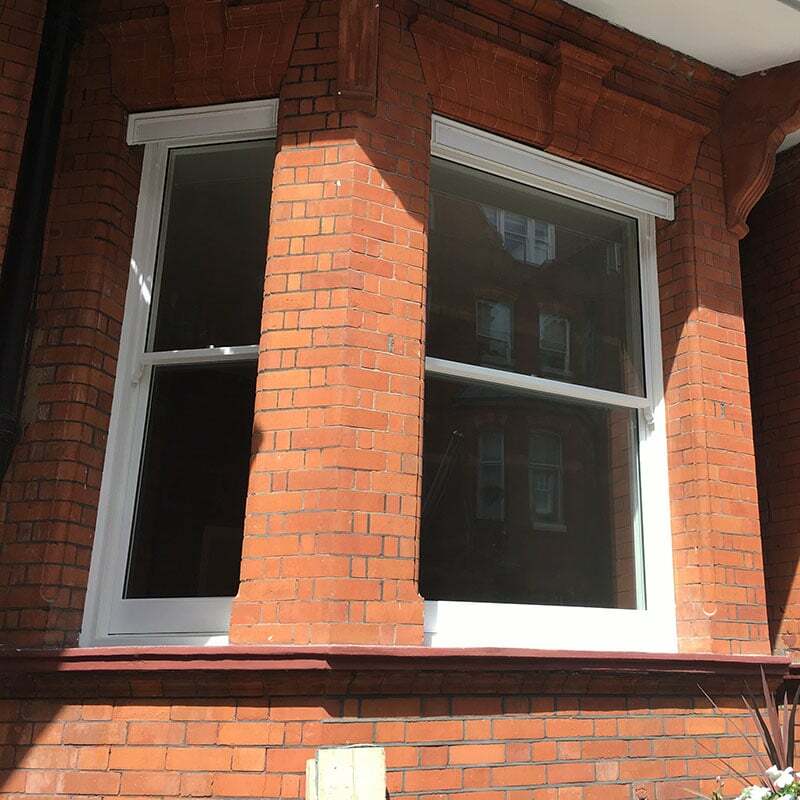 Fitting double glazed sashes paired with our refurbishment and draught proofing service dramatically increases the energy efficiency of you sash windows and has the added benefit of increased noise reduction. If noise is a particular problem we can incorporate acoustic glass into your new double glazed sashes. 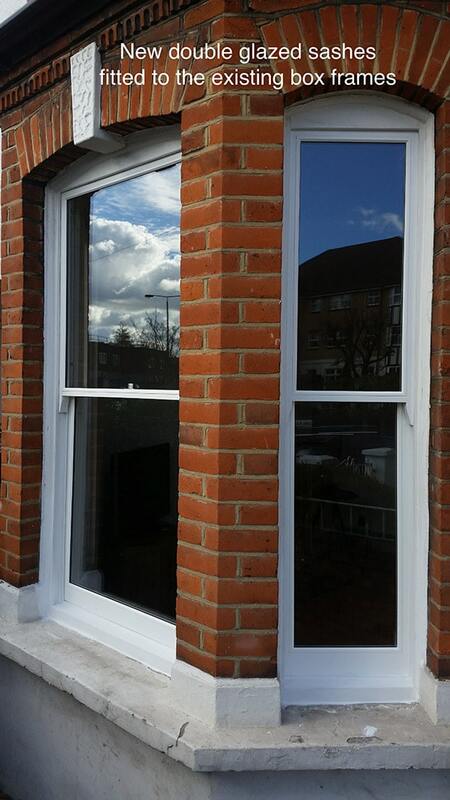 If privacy is an issue we can incorporate obscure glass into your new double glazed sashes. 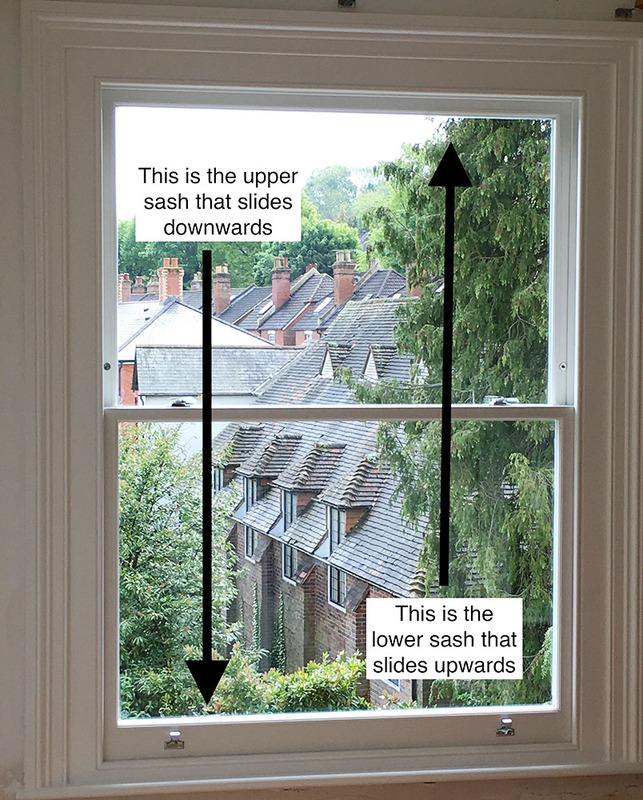 We have a solution to all of your sash window needs. 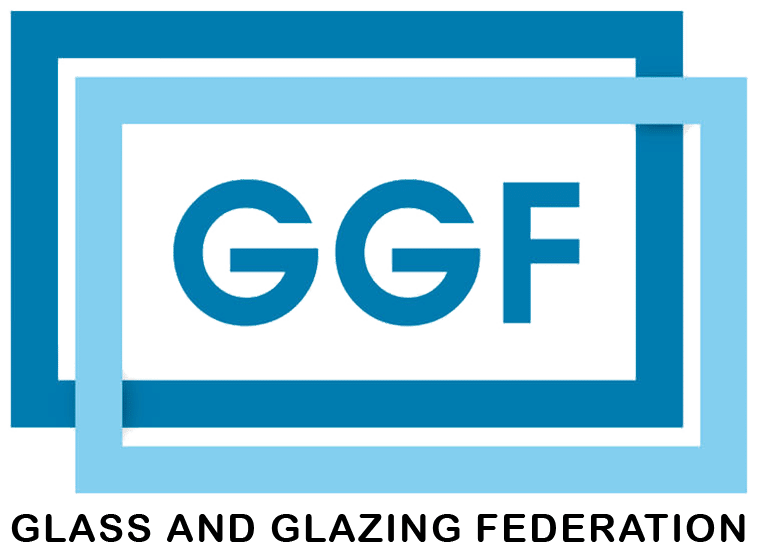 Please have a look at our new double glazed sashes and refurbishment specification.